Gallegos earned a bachelor’s degree in political science from Boise State University in 2010. She was accepted to the political science doctoral program at the University of Washington, but had to cancel her acceptance when her husband, Raphael Nolley, was deployed with the Air Force. During her time working with youths, Gallegos realized she had a passion for law and wanted to be involved in helping people improve their lives. But with three young children, a full-time job, and a husband in the Air Force, Gallegos wasn’t she could afford law school. 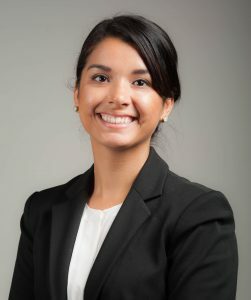 After spring semester ends, Gallegos will go home to Nampa, where she’ll finish her second and third years of law school at the Idaho Law and Justice Learning Center in Boise, home to the UI College of Law’s Boise location.